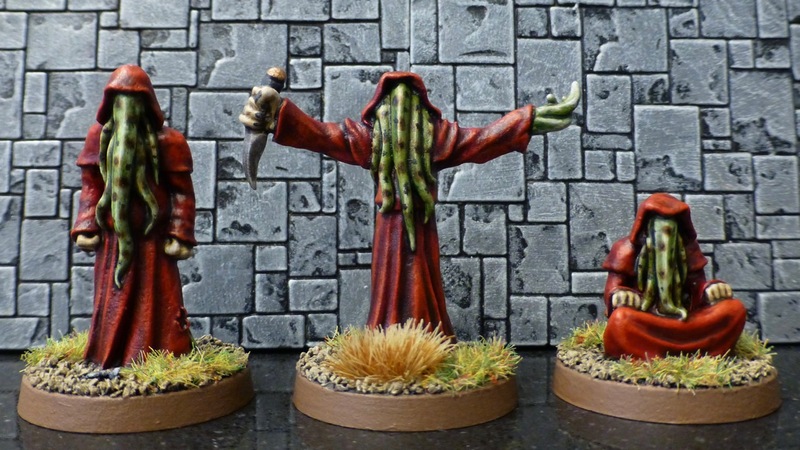 I played Call of Cthulhu for several years, but other than a figure representing my player character (a private investigator carrying a revolver) I never painted any creatures from the Cthulhu mythos. 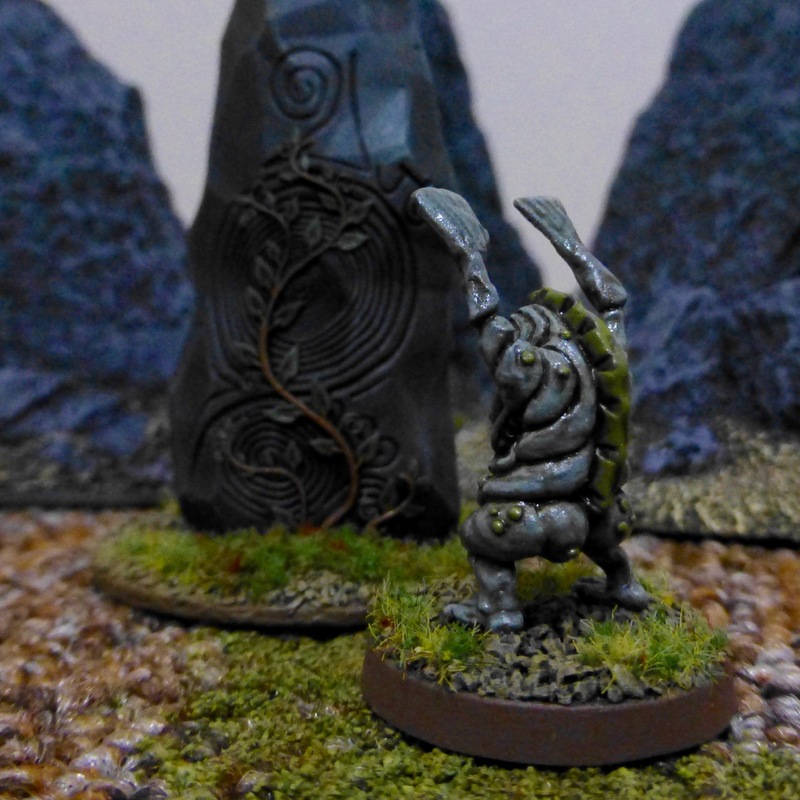 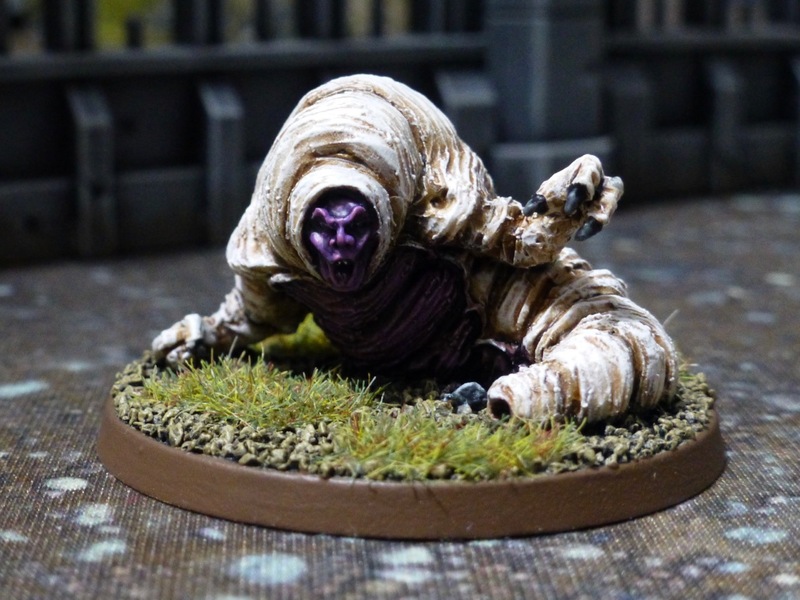 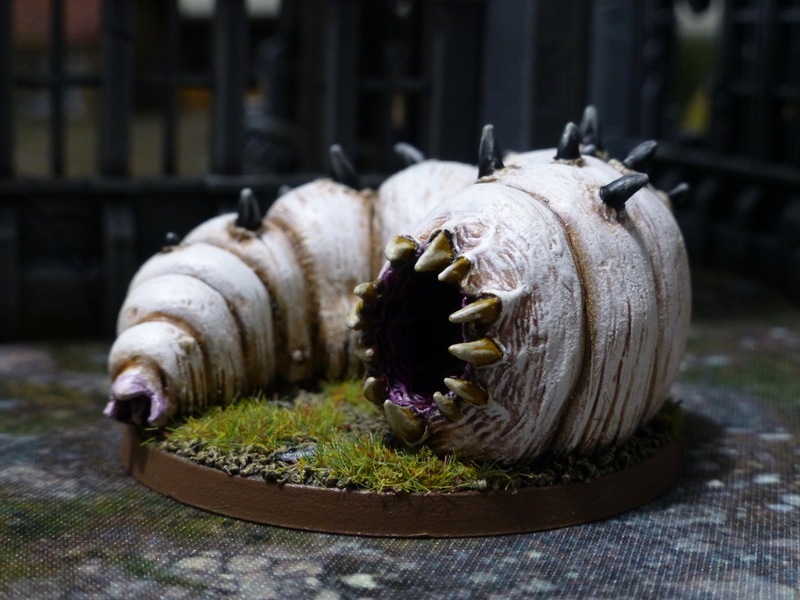 However, the temptation to collect a range of Lovecraftian monsters in miniature form has been gnawing away at my sanity ever since. 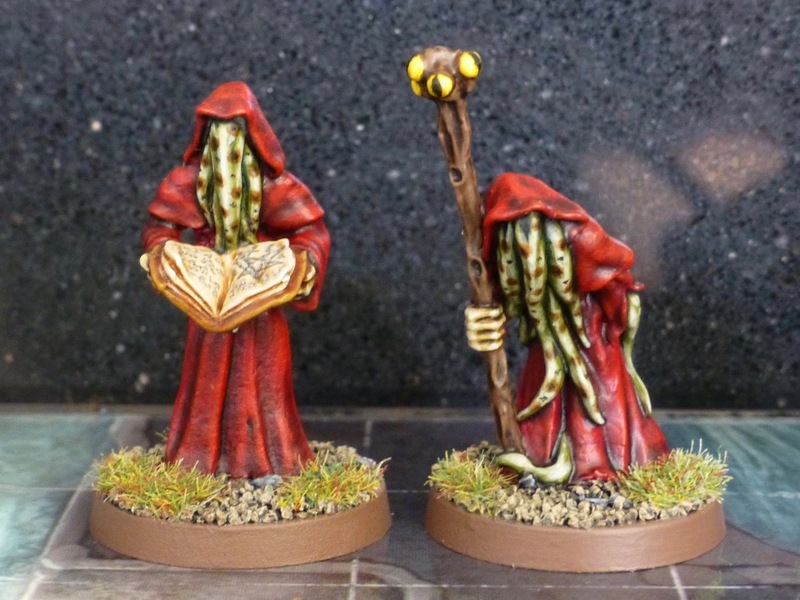 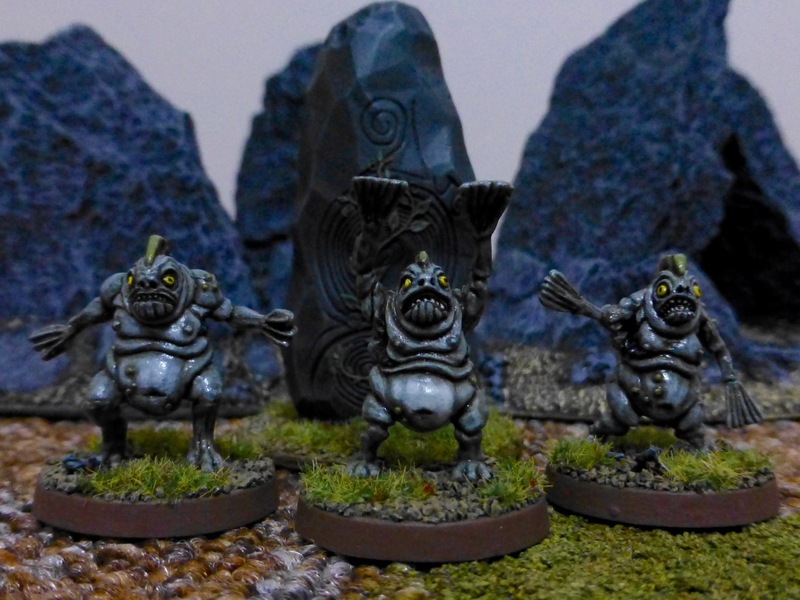 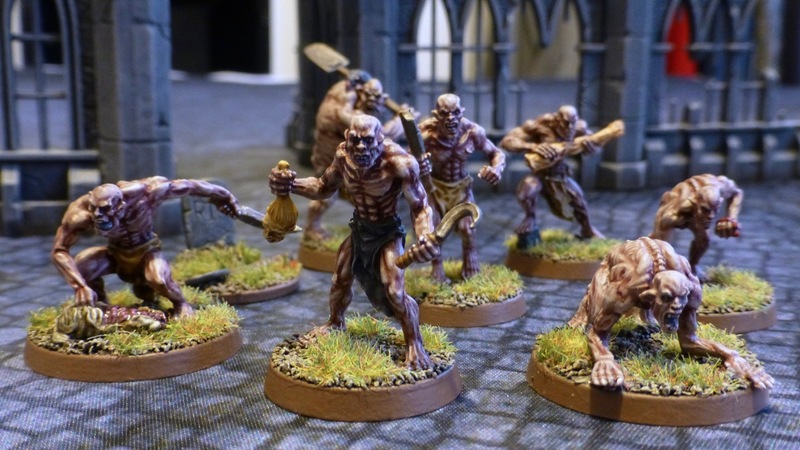 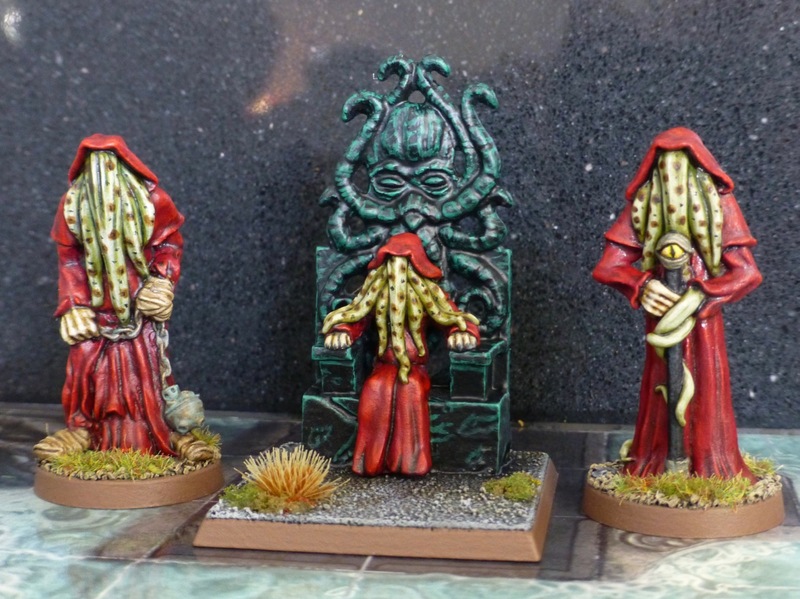 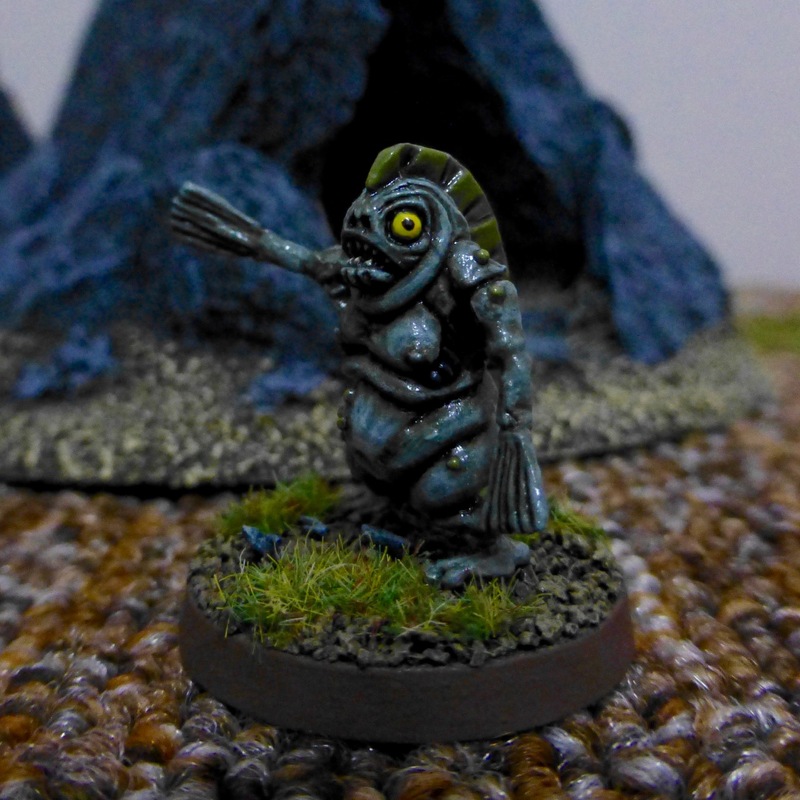 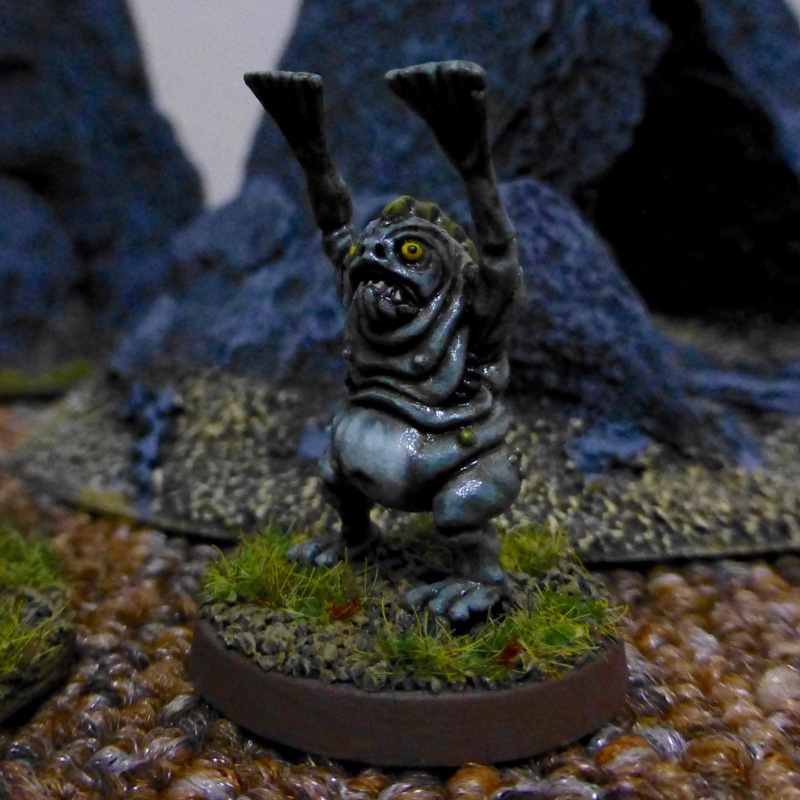 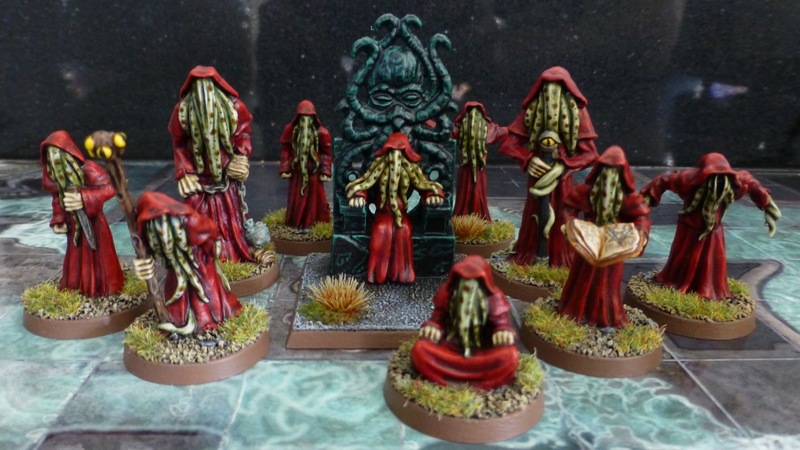 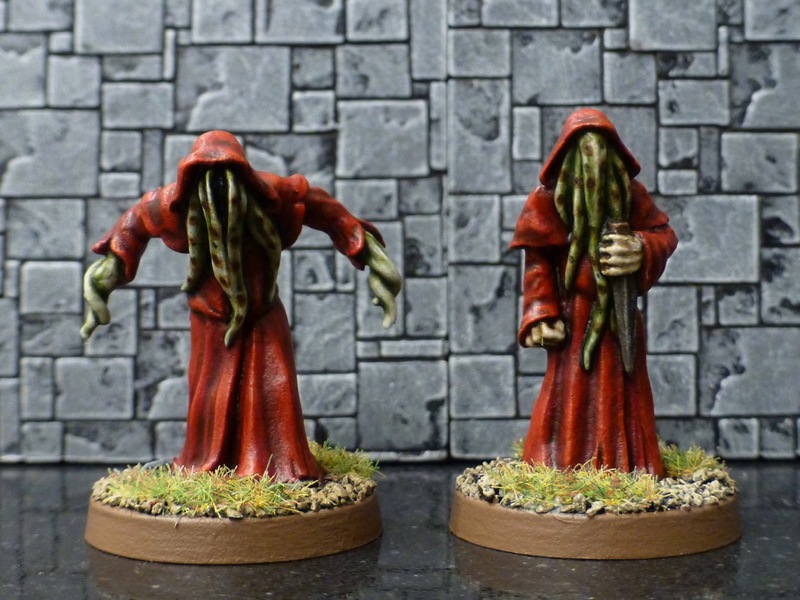 The first H. P. Lovecraft story I ever read was The Shadow Over Innsmouth, so when I recently stumbled upon a small coven of Deep Ones from CP Models, my fate was sealed. 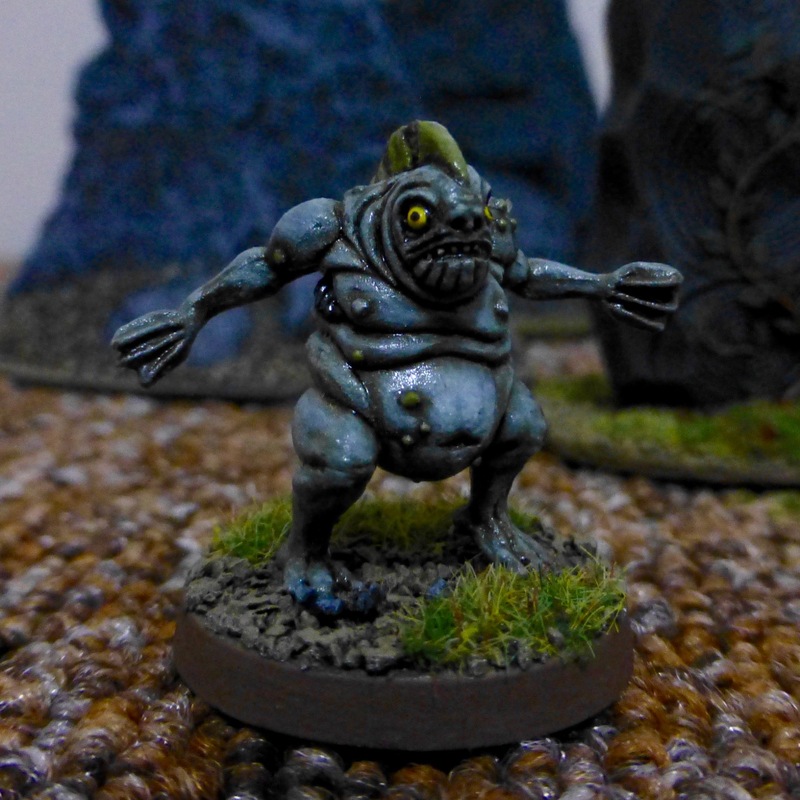 I followed their original description as having greyish green wet skin with white bellies and bulging, unblinking eyes. 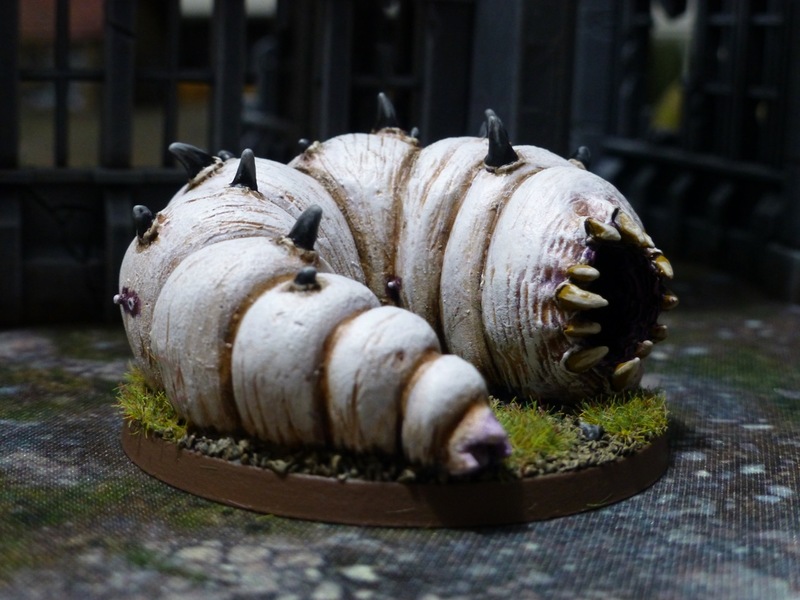 I’m not sure yet how I’ll use these creatures in games but my appetite is whet for a menagerie of Lovecraftian monstrosities.